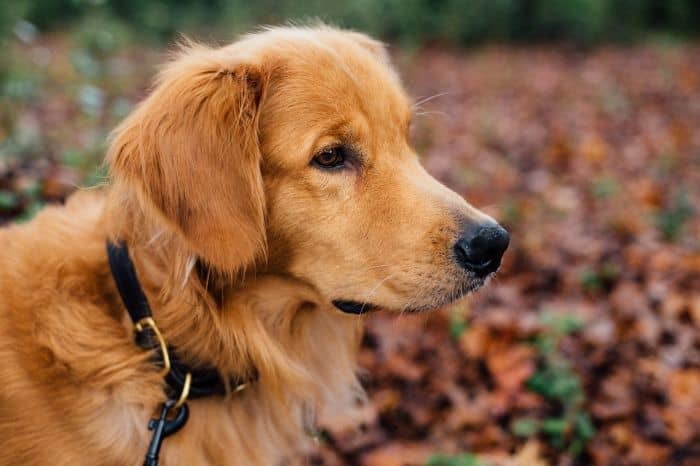 Golden Retrievers are very popular pets, and it is easy to see why: They’re not only friendly, loyal and smart, they also have some of the most beautiful coats around. But unfortunately, these gorgeous golden coats can also cause headaches for their owners. 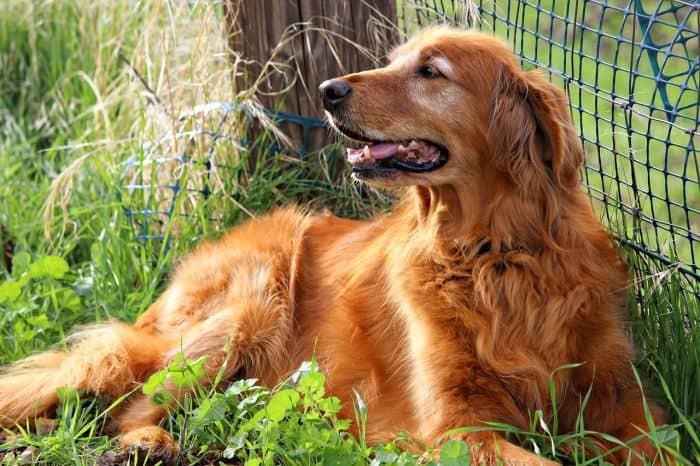 We’ll talk about the Golden Retriever shedding below, as well as the best ways to manage the problems the coats and shed hair of Golden Retrievers can cause. Before we begin talking about the ways to deal with your Golden Retriever’s shed hair, we need to explain the basics of their coats. Golden Retrievers have a double coat, comprised of two separate layers. The inner coat of Golden Retrievers is extraordinarily dense and quite soft. The inner coat isn’t very visible, but if you run your fingers through the coat of a Golden, you’ll easily feel the soft hairs underneath. The primary job of the Golden Retriever’s undercoat is to keep the dog warm in cool weather. All mammals shed their hair periodically. Individual hairs only last for so long, so they’re typically jettisoned once they wear out. But while some animals (including humans) tend to shed at a relatively consistent rate, others shed particularly heavily in specific seasons or portions of the year. Golden Retrievers are a good example of the latter. 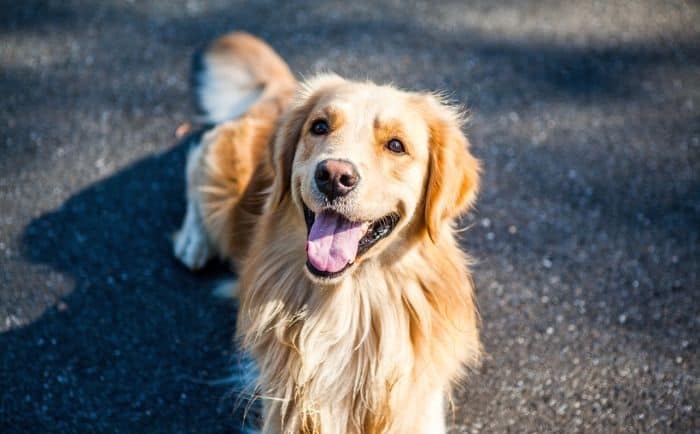 Golden Retrievers typically shed a little bit all year long, so you’ll have to contend with this issue more-or-less constantly. However, they tend to exhibit a punctuated shedding pattern, in which they shed especially heavily during the spring and fall. These are the times in which it is most important to take steps to manage the shed-hair problems they present. SEE ALSO: Do Labs Shed? How Much and When? How Much Do Golden Retrievers Shed? There isn’t an easy way to quantify the amount of hair Golden Retrievers shed, but they are surely one of the heaviest-shedding breeds in the world. Golden Retrievers shed enough to leave a constant dusting of hair on your floors and furniture, and they’ll bury your entire home in a layer of golden fur each spring and fall. The first time you give your dog a thorough brushing during a heavy-shedding period, you’ll surely be shocked at how much hair you are able to remove from your dog. It is important to note that the length of a Golden Retriever’s fur not only makes it seem like they shed even more than they actually do, it also makes it harder to clean up after them. Long hairs are more likely to become stuck to the fibers of your carpets and upholstery, and they are also more likely to clog vacuums and form “tumbleweeds” that will end up blowing around your home. Again, there’s no way to completely eliminate Golden Retriever hair shedding (or any other breed of dog). However, there are a few things you can do to limit the problem. Since you can’t completely stop your dog from shedding, the next best option is to remove your dog’s hair in a controlled manner. And the easiest way to accomplish this is by simply brushing your dog once a week (or more frequently), collecting the hair trapped in the brush and putting it right in the trashcan. Most dogs, including Golden Retrievers, will enjoy the attention and stimulation a thorough brushing provides, and they’ll learn to accept it as part of their weekly routine. It will also give you a good chance to observe your dog’s coat and skin, increasing the chances that you’ll discover ticks, abrasions, wounds and other problems that require attention. Additionally, by brushing your Golden Retriever regularly, you’ll be able to eliminate mats and tangles and keep his coat looking its best. Scroll down to the next section to learn about the best brushes for Golden Retrievers. Brushing your dog isn’t the only way to remove his soon-to-be shed hair in a controlled manner – you can also bathe him regularly. Most Goldens enjoy the occasional bath and it is a very effective hair-management technique that’ll help keep your home looking great. Just be sure you don’t bathe your dog too frequently, as this can cause coat and skin problems. Anytime you bathe your dog, you’ll end up washing off many of the hairs that we’ll be shed soon, as well as those that have already been released from the follicles, but still cling to his coat. Additionally, the massaging action of your hands and fingers will help dislodge soon-to-be shed hair, and it’ll free the hair that becomes trapped in his coat. Then, once you’ve bathed your dog, you can simply dispose of the hair left in the water. If you’re bathing your dog outdoors, you can simply dump the fur out on the ground (this will even help your local birds, as many use hair while building their nests) or collect it and throw it in the trash. If you bathe your Golden indoors, you’ll want to use a drain guard, which will collect the hair as it washes down the drain. This will prevent the hair from clogging your pipes and make clean up much easier. 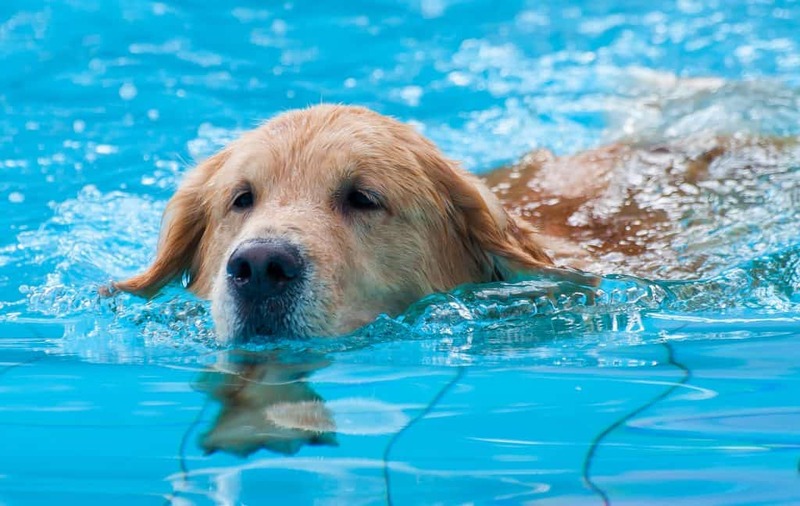 Swimming is a great form of exercise for most Golden Retrievers. 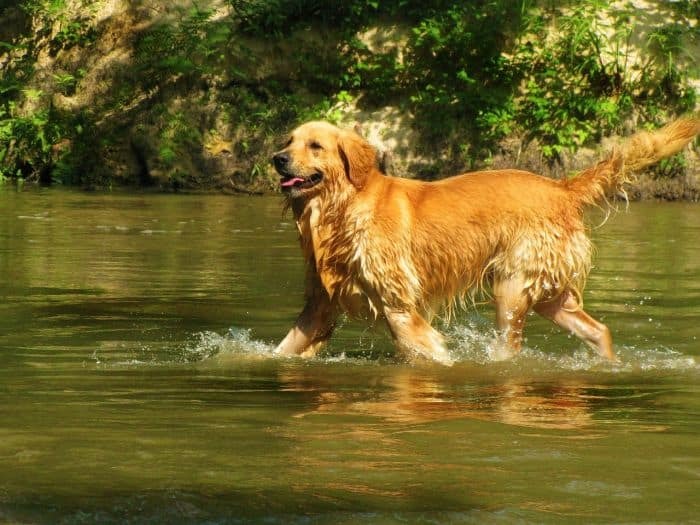 It burns a ton of calories, it’ll help wash off a bunch of hair, and most Goldens love playing in the water. In fact, because swimming is a low-impact activity, it is a great way to exercise dogs with aching joints. If you are taking your pup to a lake or river, you don’t have to worry about the hair he sheds. But if you decide to let him swim in your swimming pool, you’ll want to be sure to remove the hair that collects around the filters and traps to ensure the pump keeps working efficiently. 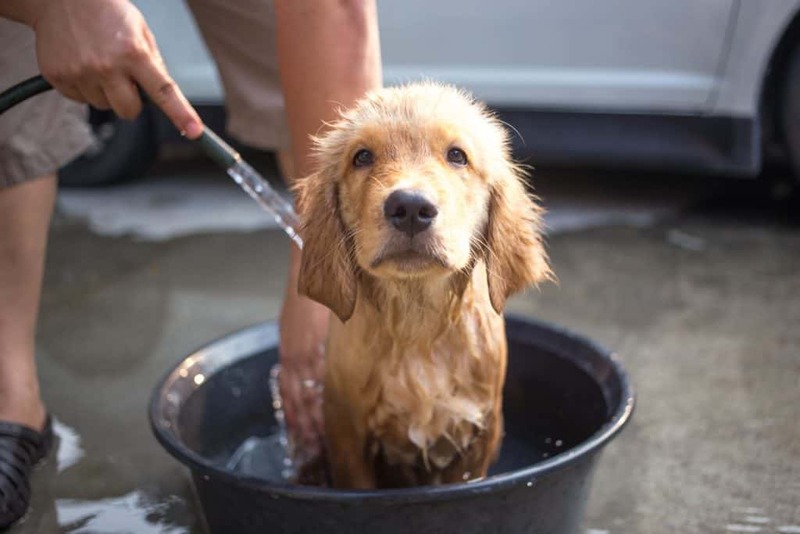 It’s a good idea to give your dog a bath after letting him swim, as lake and river water can contain bacteria and other pathogens. Even if you let your dog swim in a pool, it’s a good idea to bathe him afterward, to help rinse the chlorine from his fur. It’s obviously important to provide all dogs with a healthy and nutritious dog food. However, it is especially important to do so for Golden Retrievers, as proper nutrition will help keep their skin and coat as healthy as possible. This, in turn, will help ensure he isn’t shedding more hair than he should. You can check out our comprehensive guide to the best foods for large dogs here – any of the recipes highlighted should make a good choice for your pet. However, you’ll want to give special consideration to those foods that contain an abundance of omega-3 fatty acids, which help reduce inflammation and promote coat and skin health. You can also begin providing your dog with omega-3 fatty acid supplements. These supplements come in a few different forms, including tablets and liquids designed to be added to your dog’s food, so be sure to pick the one that should work best for your pet. Stress and anxiety may increase the rate at which your dog sheds, so it is important to ensure that your Golden remains healthy and happy. You can do this in part by providing your pet with plenty of opportunities to exercise and giving him lots of attention, but it is also important to provide him with toys to help prevent boredom and give him the chance to exercise his chewing instincts. It’s also a good idea to provide him (as well as all other dogs) with a secure crate, in which he can retreat when desired. Many dogs appreciate having a safe place to hang out when they’re feeling worried or stressed, which may help prevent him from excessive shedding. There are a number of crates on the market, but be sure to check out our guide to the best crates for large dogs, which are perfect for big breeds like Golden Retrievers. The tips mentioned above can certainly help you reduce the amount of hair your Golden sheds and prevent some of the hair that is shed from covering your floors and furniture. But it won’t completely eliminate the problem – your Golden Retriever will still end up leaving hair around your home. However, most of the hair your Golden sheds will cling to the surfaces and areas in which he spends the bulk of his time. So, be sure to provide your pet with a comfortable bed (or kennel pad) and teach him that the couch is off limits. This may take some time and effort to accomplish, but your efforts will be worth it, once you start noticing less hair on your furniture. 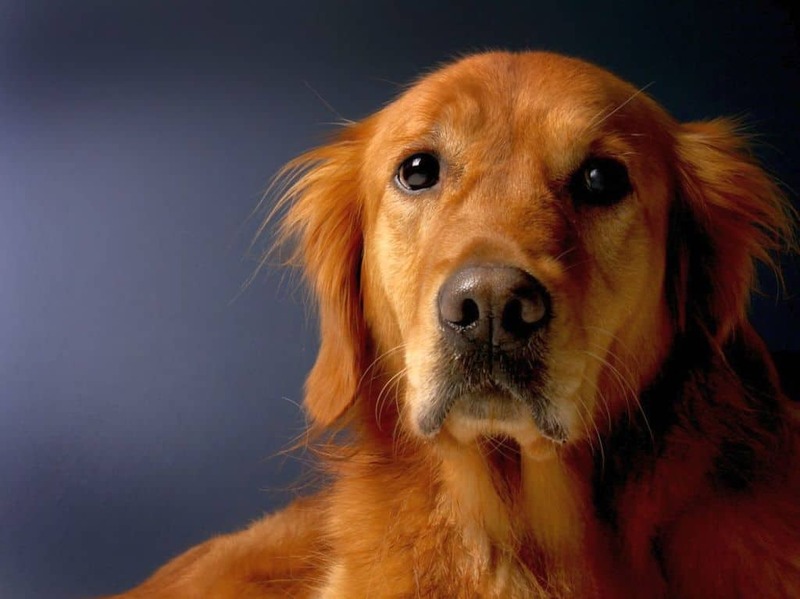 It’s also important to remember that Golden Retrievers often suffer from joint problems, such as hip dysplasia. 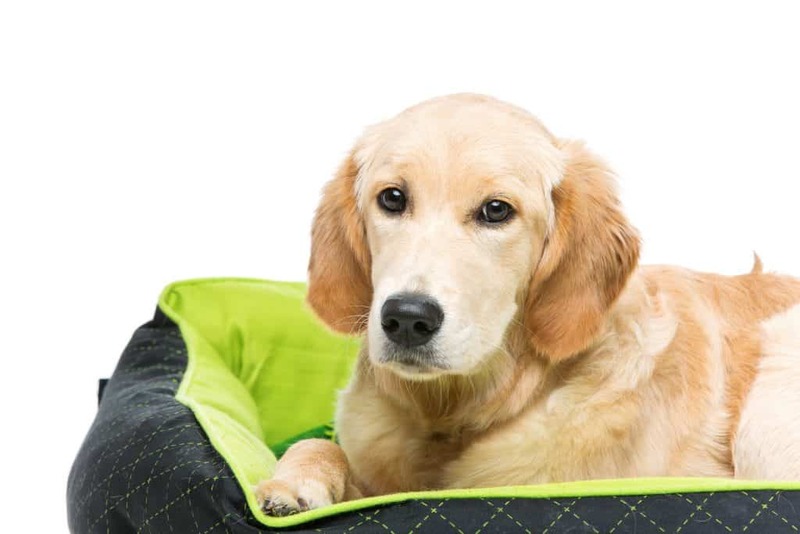 One of the best ways to help take coddle your canine’s joints is by providing him with a high-quality, orthopedic dog bed that is designed to provide exactly the type of support he needs. Although it won’t do a thing to reduce your dog’s shedding, you can often reduce the visual impact of your dog’s shed hair by trying to use furniture (both your furniture and his) that matches his coat color. In the case of Golden Retrievers, this means opting for things that are strawberry blonde to yellow-white. We’re not suggesting that you go out and buy all new furniture, but it is a good idea to consider the color you choose whenever buying new furniture. You can also cover your couch and other furniture with covers that are similar to your dog’s fur color. And it is always wise to purchase dog beds and similar furniture that matches the color of your dog’s hair. What is the Best Brush for Golden Retriever Shedding? Regular brushing is one of the most effective ways to manage your Golden Retriever’s shed hair. But you must choose the right type of brush to enjoy the best results. There are two different types of brushes most Golden Retriever owners find helpful: Rake-style brushes, which are excellent for removing shed hair and tangles, and slicker-style brushes, which are pretty good at removing shed undercoat fur, but primarily designed to remove tangles and make his coat look smooth and shiny. The GoPets Dematting Comb is a great option for Golden Retriever owners who want a rake-style brush or comb. This flexible comb is designed to deal with all types of tangles and mats, and it’ll quickly collect fur from your Golden’s thick undercoat. This double-sided comb gives you two different options, so you can remove stubborn tangles gently or quickly collect undercoat hair without spending all day on the project. The GoPets Dematting Comb is also designed to be comfortable for you and your pet. The comb’s teeth are all rounded to avoid scraping your dog’s skin, and the handle is gel-filled and ergonomically shaped to prevent hand cramps and fatigue. Most owners who tried the GoPets Dematting Comb praised it highly, and it is priced very reasonably for such a high-quality tool. If you’d prefer a slicker-style brush, consider the Hertzko Self-Cleaning Slicker Brush. The Hertzko Brush uses fine wire pins to help collect shed hair and remove tangles, but they’re flexible enough to avoid harming your pet’s skin. And unlike many other slicker brushes, which can be difficult to clean, the Hertzko Brush comes with a self-cleaning feature that enables you to remove the collected hair quickly and easily. The Hertzko Self-Cleaning Slicker Brush also comes with an ergonomic handle that’ll prevent hand fatigue during long grooming sessions. Most owners who tried this brush were very pleased with the results, and it is priced very affordably too. Golden Retrievers certainly shed pretty heavily, and given the length of their coats, the fur they shed can cause quite a mess. But if you employ the tips and advice presented above you can keep your Golden’s shedding under control and ensure that your home doesn’t become a giant furball. Have you figured out any other ways to control your Golden Retriever’s shedding problem? Tell us all about it in the comments below.